we’ve got all your air con and heating problems covered. Our team delivers every time. Stay cool all year round with our residential services. 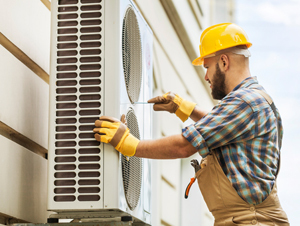 Our qualified and professional tradespeople are trained to both install and provide maintenance for air conditioning and mechanical ventilation equipment. These equipment can range from wall mounted split systems, to under ceiling cassettes, ducted systems and more. At Air-Rite we are dedicated to meeting all of your needs and will offer you a quote to help make your decision to purchase a quality system easier. Whether it be for Heating or Ventilation, you can count on us to ensure your service is tailored to your requirements. We work with brands like Fujitsu, Mitsubishi, Teco, Carrier-Apac, Temperzone, Panasonic and Toshiba so you have the luxury to choose. At Air-Rite we have a team of dedicated professionals who are eager to help you make an educated decision when purchasing your new air conditioning system. 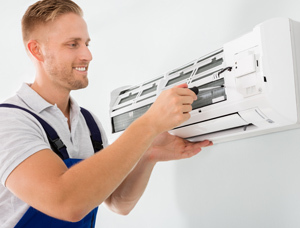 Specialising in air conditioner installations, we know what system might best suit your home or situation and you can be confident that we will provide the best service in South East Queensland. 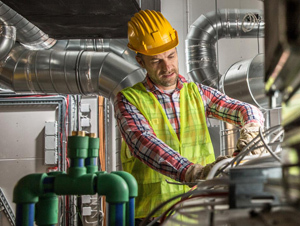 We specialise in the installation and maintenance of commercial, industrial and residential air conditioning, mechanical ventilation and refrigeration equipment. Our comprehensive range of equipment has technology capable of ensuring power and efficiency. We supply the best systems and components on the market so quality is guaranteed. We would like to thank you and the repair staff for work that was done. Since the ducted system was installed we have found that the new compressor cools the home and when the temp reaches the set temp the system turns off which this has never done at all once again thank you and will kept you in mind for the yearly service when time occurs. I am sitting here in the cool…yay!!! Thank you so much for doing this for us, it’s appreciated. Matt is a lovely guy and you are lucky to have him as part Of your team….. both guys were very efficient, very pleasant and tidy!!! please send us the invoice and we’ll pay before Christmas is here…. It is with pleasure that I provide this testimonial to Air-Rite. I entered into a maintenance contract with Air-Rite approximately three years ago. I find the arrangement convenient and reliable. As a busy person, the reminder each six months that the service on my air conditioning is e is a great service. I have the same technician do the service each time. He is punctual, professional, efficient and thorough in his work and always courteous and most obliging. The report I receive, both verbally and in writing, is an assurance that my air conditioning will continue to perform effectively and prevent significant repair bills in the absence of regular maintenance. My experience in dealing with the staff at Air-Rite, both in the office and the technicians, has been very positive and the company is to be congratulated for its consistently excellent customer service. I would have no hesitation recommending Air-Rite. Further to our conversation Of around ten minutes ago, I wanted to confirm what an amazing job your technician Bruce did on the air con here today. As I mentioned we had two people from another firm look at it three times and were most unhappy with the results. Not so with your man Bruce. He really knows his stuff and has got it up and running well. I couldn’t be happier. As I suggested on the phone, this bloke is certainly a keeper. We have over 600 happy clients across queensland and counting . . . Looking for an air conditioning expert in your area? Perhaps you are wanting some advice. Give us a call or complete the form below so we can help you right away.